I spent this past weekend speaking at the 2013 Midwest Homeschool Convention in Cincinnati, Ohio. The crowds were huge, and there was a lot of enthusiasm amongst both the attendees and the speakers. 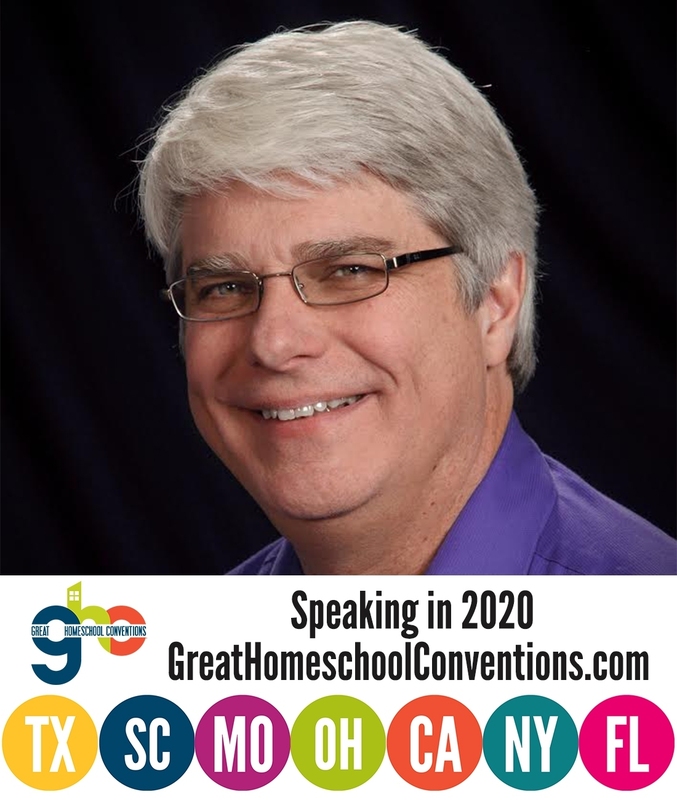 It seems to me that this convention was much like the conventions I remember from ten years ago: lots of enthusiastic homeschoolers listening and talking to lots of enthusiastic speakers about the joys, troubles, and triumphs of home education. It was wonderful. I spoke a total of seven times on six different subjects. Two of my talks were given with Diana Waring, and I enjoyed them the most. She and I have different styles that seem to complement each other really well. As she puts it, I provide the “analytics,” and she provides the “warm fuzzies.” I am not sure that’s exactly right, but it’s probably close. We gave the same talks in Greenville, SC, and we will be doing them again in Springfield, Missouri and Kissimmee, Florida. As is typically the case, the most interesting part of the conference for me was interacting with the attendees. I had a rather constant stream of parents and students coming to my booth to talk with me. Many of them asked questions, and I hope my answers provided some help. Others came by just to report on how they (or their children) were doing with my courses. I was really impressed to meet one young lady who had completed all of my textbooks! I have authored or co-authored eight texts, and most students get through five of them. Some complete six, and a very few manage to cover seven, but this young lady had gotten through all eight of them. As a result, she has already taken the equivalent of a year of university-level biology, a year of university-level chemistry, and a year of university-level physics. That’s pretty impressive! I take questions from the audience in all of my talks, and at the end of one of my evolution-related talks, a man asked a question about abiotic oil. He had read a book by Dr. Thomas Gold entitled The Deep Hot Biosphere, which tries to make the case that both oil and coal are not fossil fuels. In other words, they are not produced by decaying dead things. Instead, they are produced by chemical processes in the earth and simply reworked by living organisms. I read that book many years ago, and while it is definitely worth reading (even today), I personally think that it really overstates the case. At 50 kbar and at the temperature of 1,500°C, the system spontaneously evolved methane, ethane, n-propane, 2-methylpropane, 2,2-dimethylpropane, n-butane, 2-methylbutane, n-pentane, 2-methylpentane, n-hexane, and n-alkanes through C10H22, ethene, n-propene, n-butene, and n-pentene in distributions characteristic of natural petroleum. Don’t get lost in all the hydrocarbon names to miss the fact that in this experiment, when the pressure and temperature were right, the chemicals produced were made in distributions that are typically found in naturally-occurring oil. So there is evidence that at least some of the chemicals that make up oil can be produced by natural processes that have nothing to do with dead things decaying. Does that mean oil is not a fossil fuel? Of course not! Notice that in both studies, the authors don’t claim to have made oil. They just claim to have made some of the components of oil. Thus, it is possible that at least some of the components of oil are produced by abiotic processes, but we are a long way from understanding how important this is to the formation of oil itself. It may be that only a tiny fraction of the chemicals we find in oil are made this way. It may be that most (or all) of the chemicals we find in oil are made this way. My suspicion is that the real answer lies somewhere in between. Right now, however, the best we can say is that the concept of abiotic oil requires a lot more research. I hope that this is not the case, but if it is, it wouldn’t surprise me. Many people who call themselves scientists accept all manner of things without scientific questioning! While some methane clearly leaks from the mantle, there are solid reasons why petroleum geologists believe that oil and gas deposits are overwhelmingly of a biotic origin. 1. Helium from natural gas wells (which is where we get all of our helium from) is enriched in helium-4 compared to helium-3, which indicates a crustal source for the both the helium and methane, rather than a mantle source. Earth’s crust is enriched in uranium and thorium compared to the mantle, and the decay of these radioactive elements produces the excess helium-4. 2. Oil and gas deposits are found in greatest abundance in thick marine sedimentary basins. These sedimentary basins contain thick layers of organic-rich shale, which provides an abundant source for the hydrocarbons. 3. Many sandstone and limestone petroleum reservoirs are not only capped by impermeable rocks above (the cap rocks), but below as well. It would be difficult for mantle-derived organic fluids to seep into these formations. 4. If the abiotic oil hypothesis were correct, there ought to be significant oil and gas deposits in at least some igneous and metamorphic rocks, especially those associated with serpentinite. No such deposits have been found. Exploratory wells were drilled in a promising highly-fractured granite in Sweden in the 1980s to test the abiotic theory, and whopping 85 barrels of oil was recovered. There is debate as to how much of this was diesel oil that was added to the drilling mud, so the true amount of petroleum was probably less than that. 5. Carbon isotope studies indicate that biogenic methane tends to be enriched in carbon-12, whereas volcanogenic methane (derived from the deep crust or mantle) is not. There are places where abiogenic methane seeps from the crust, such as the East Pacific Rise (a plate tectonic mid-ocean ridge), and its carbon isotope composition is distinct from the biogenic methane found in most gas deposits. There are more arguments for the biological origin of petroleum, such as chirality of hydrocarbon molecules,and biomarker tracing of petroleum back to the organic-rich source rocks. No petroleum geologist I know of argues that there is no abiotic oil or gas in Earth’s crust. However, the evidence seems strong that most petroleum is formed by transformation of organic material in sedimentary basins. This is more than just an ivory tower debate. There are those who argue that if petroleum is constantly seeping up from the mantle, then we don’t have to be concerned about ever running out. It would be highly irresponsible to base energy policy decisions based on the questionable science of abiotic oil. One of the success stories of the practical application of the theory of the abyssal abiogenic origin of petroleum in the exploration is the exploration in the Dnieper-Donetsk Basin (DDB), Ukraine…the DDB’s northern flank earlier was qualified as not perspective for petroleum production due to the absence of any “source rock of petroleum” and to the presence of an active, highly dynamic artesian aquifer. However, after a while the perspectivity of this area was re-interpreted, re-examined in compliance with the theory of the abyssal abiogenic origin of petroleum starting with the detailed analysis of the tectonic history and geological structure of the crystalline basement in the DDB’s northern monoclinal flank. Subsequently respective geophysical and geochemical procpecting programmes were accepted primarily for exploring deep-seated petroleum…A total of 12 oil and gas fields discovered worth $4.38 billion in the prices of 1991 and $26.3 billion in the prices of 2008. For the discovery of these new oil and gas accumulations I.I.Chebanenko, V.A.Krayushkin, V.P.Klochko, E.S. Dvoryanin, V.V.Krot, P.T.Pavlenko, M.I.Ponomarenko, and G.D.Zabello, were awarded the State Prize of Ukraine in the Field of Science and Technology in 1992. According to the report, there are now 50 commercial gas and oil deposits where the biotic hypothesis claimed none should exist. I agree that this is more than just an ivory tower debate. If oil is at least partially a renewable resource, it would be highly irresponsible to base energy policies on the assumption that it is not. As long as the organic view of oil “is accepted fully and without scientific questioning” among most geologists, however, that’s probably what will happen. Thanks for the link, Josiah. I wish the article had some references. For example, consider the quote by William R. Corliss: “Geology is the prisoner of several dogmas that have had widespread influence on the development of scientific thought.” I tend to agree with that quote. However, I don’t think Corliss ever said it. I can’t find any legitimate reference to the quote, and it seems contrary to Corliss’s style. He was well known for collecting examples of strange phenomena published in scientific journals, but he rarely injected his own opinion. He usually let the journal papers speak for themselves. Also, he didn’t really challenge the mainstream as much as wonder at the odd phenomena (like ball lightning) that were unexplainable with the day’s science. I could imagine him discussing abiotic oil and other geological “mysteries,” but I cannot imagine him making such a blanket charge against the field of geology. I’ll also have to say that Hoyle’s quote is characteristically overstated. For reasons such as those that Kevin gave above, I think it is hard to say that there is no biotic oil. As I say in the post, I suspect that oil has both biotic and abiotic components to it. He appears to have a lot of industry knowledge, and my guess, though I don’t know for sure, is that he is a petroleum geologist who is using an assumed name. I would agree that there is probably more than one origin for the world’s hydrocarbon reservoirs. I know Exxon is experimenting with generating biofuels from algae (http://www.exxonmobilperspectives.com/2011/04/21/algae-biofuels-update/), and I would tend to give a lot of weight to those who are economically vested in the practical implications of a theory. Thanks for those links, S.J. I look forward to reading them in detail. I also agree with you that there are probably at least two sources for the earth’s hydrocarbon reservoirs. S.J., thanks for the reply. I do not think the quote from Sir Fred Hoyle is overstated. He says this because he knows very well mathematics, chemistry and astrophysics while geologists reason with dogmas that have been imposed. Biological material yield oil? That would only happen if a miracle happened or the laws of nature would be misleading. About the reasons given by Kevin, I disagree with all. But yes I agree that there are biological materials in petroleum, but are contaminants and are only in small quantities as molecular traces of microorganisms that feed on oil and obviously died into oil. The largest fraction of oil comprises primordial materials and abiotic. This is the Deep Hot Biosphere proposed by scientist Thomas Gold and I recommend you read his book to try to understand what is the real formation of oil and natural gas, and coal although the link I sent you provide a good summary on the subject. Jay — I probably do need to do more homework (does that process ever end?) but I’ll stand by my basic analysis. Abiotic gas exists, but there is little good evidence that this is the primary source for hydrocarbons in the crust. The Russians have done more work on this than geologists in the West, but the fact is that most Russian/Ukrainian oil fields have been found by geologists using conventional (i.e. biotic) assumptions. I looked through the Kutcherov article you pointed me to. He lists 55 giant oil and gas fields that are partly or completely in crystalline basement rocks. I looked up two of them—Elk Basin in Montana and Hugoton-Panhandle in Kansas (which is where we get much of our helium from). I found no references to production from Precambrian basement rocks in Elk Basin. There has been minor production from Precambrian basement rocks in Kansas, but production from the Hugoton-Panhandle field has been overwhelmingly from Permian sedimentary rocks. I’m not going to look through all 55 fields listed, but my sampling (2 out of 55) indicates that he may be overstating his case. Josiah — You state that you disagree with all of my reasons. Do you disagree that helium in the crust is enriched in helium-4, and that this indicates crustal origin for the helium? Do you disagree that most oil and gas in the crust is in sedimentary basins? You need to find a better link than the one you pointed us to. The section on coal was downright awful. Bituminous coals are composed mainly of material that is identifiable as plant fragments, but the author wants us to think the organic material is abiotic? I agree that homework never ends, Kevin, and I also agree that most Russian/Ukranian oil fields have been found assuming that oil is boitic. However, not many people have searched using the abiotic assumption. When that assumption has been used, oil has been found. Kutcherov may be overstating his case, but you have no idea, given the fact that you only looked at 2 out of 55. I have a really hard time believing that people would have been awarded the State Prize of Ukraine in the Field of Science and Technology had the find been minor. The point is that oil has been found using BOTH assumptions, so the question remains: how much oil is abiotic and how much is biotic? You can choose to believe that it is mostly biotic, and that’s fine. However, there simply isn’t enough evidence at this point to make that determination. As long as the organic view of oil “is accepted fully and without scientific questioning” among most geologists, we might never know the real answer, and that’s unfortunate. R: Yes, I disagree. Helium is primordial gas as natural hydrocarbons and nitrogen as occur together in association in helium fields such as Hugoton-Panhandle. Do you think that nitrogen is crustal? In fact, exploration of comercial oil and gas lies dominantly in sedimentary basin because have good reservoirs, structural traps and seal not because they have the so called “source rocks” which is nonsense. A better book a reccomend you read. The Deep Hot Biosphere, Thomas Gold. In this book I guess you will find answers to your questions. Do not do politics— it is ridiculous to assume that some oil is this and some oil is that. It is either all biotic, or all abiotic, barring some incredibly strong evidence. The evidence for abiotic formation is the He in the oil. Helium is formed from radioactive decay, and dissolves in the upwelling methane. The migration through a region dense with radioactive elements is required, since He (always He4, never He3) is formed in the deep Earth from radioactive decay. It cannot migrate into the oil from surrounding rocks, because it is 1000 times more concentrated in the oil. That’s conclusive, oil is abiotic. There is no doubt about this, it is just moronic dogma on one side. The amount of oil discovered using the two drilling methods is completely scientifically insignificant, the capping process will trap abiotic oil just as well as the pretend biotic stuff. The evidence that coal is formed from plant matter is not conclusive, it is terrible. The idea that one could turn sugar-plants (the cell wall is cellulose) into elemental carbon by time and squooshing is absolutely idiotic. The fossils in coal show that the rock turned to coal by upwelling fluid, which Gold argues is upwelling methane. The theory is correct, and completely revolutionary, in that the old theory is completely wrong from top to bottom. This means that all the evidence for biotic oil is hot air, and this is amply verified by reviewing this evidence in detail. Ron, I am not doing politics. I am doing science. The fact is that some evidence points to abiotic oil, while other evidence points to biotic oil. Scientifically, then, the most reasonable conclusion is that oil can form both ways. Why do you say it is “ridiculous” to think that? Many things found in nature have several different sources. Methane, for example, can be produced by decomposition. It can also be produced by living bacteria. It can also be produced by physical processes in the mantle of the earth. Thus, there are at least three sources for methane. Why is it “ridiculous” to think that there is also more than one source for oil? Helium in the oil doesn’t point to an abiotic origin at all. It is expected regardless of how the oil is formed. Perhaps you are confused because you seem to think that helium can’t migrate into oil from the surrounding rock. That is simply not true. Helium migrates through the entire crust of the earth and seeps into the atmosphere, because it is incredibly mobile. As a result, you would expect helium to migrate into oil from the surrounding rocks, regardless of its origin. Also, helium-3 is found in oil. In fact, physicist Luis Alvarez confirmed the existence of helium-3 by finding it both in the atmosphere and in helium harvested from oil wells. You claim that the “amount of oil discovered using the two drilling methods is completely scientifically insignificant.” However, that is clearly not correct. If oil is biotic, it should be found only where biotic samples could have been deposited. If oil is abiotic, it should be found anywhere gases can migrate through rock. The evidence we have right now indicates that it is much more likely to find oil where biotic samples could have been deposited. That indicates oil is highly correlated with biotic samples. However, the fact that some oil is found in places where biotic samples could not have been deposited indicates that at least some oil is abiotic in origin. You claim that the “idea that one could turn sugar-plants (the cell wall is cellulose) into elemental carbon by time and squooshing is absolutely idiotic.” However, this has been done in the lab, so it is clearly not idiotic. In fact, it has been demonstrated to be plausible, at least under laboratory conditions. Since you say that the evidence that coal is formed by plant matter is “terrible,” perhaps you can explain to me why coal contains structures such as coal balls (rounded masses of matted and exceptionally well preserved plant and animal fossils), upright tree trunks, and stigmaria (which give all indications of being fossilized roots). Dr. Wile: I was the man who asked the question about abiotic oil at the homeschool convention. I finished Thomas Gold’s book “The Deep Hot Biosphere” a few weeks after I spoke to you about it. While I am open to the possibility that I and Gold could be wrong about the abiotic origin of oil and coal, I am astonished at your opposition to his hypothesis when it so clearly supports your Young Earth position. While I lean towards the Old Earth position, I do not pretend to understand the entire history of this planet. However, as a practicing organic chemist, I strongly reject the god of random processes and I gratefully accept the God of the Christian Bible. I know you stand with me on this last statement. But it is my understanding that you are inclined to reject the Old Earth position due to evidence that you believe to be inconsistent with such a view. How is it that you so readily reject Gold’s hypothesis when it supports your current opinion regarding the age of the Earth? While I am very open to the possibility that the Earth is 4.5 billion years old , Thomas Gold’s book provided a potential explanation for a phenomenon that has long perplexed me. I have long had great difficulty understanding the source of the incredible amounts of natural gas, oil, and coal that we have withdrawn and continue to withdraw from the Earth’s subsurface. This is a huge problem for my mind even if the Earth is 4.5 billion years old. While I don’t have much trouble believing in an old Earth created by an eternal God, I cannot comprehend the level of life, death, and decay that could produce the incomprehensible amounts of hydrocarbons we humans have tapped into. Gold’s book provided me an explanation that I found much more believable than the standard explanation that has long perplexed me. I am grateful that Gold would risk his significant scientific reputation to repeatedly stab the standard explanation over a period of more than 20 years. I would be happy to discuss this with you in this forum if you would like to do that. Perhaps this would be a better way to debate this topic than a face to face meeting as I proposed at the homeschool convention. But let us proceed slowly and give this hypothesis the respectful consideration that I believe it deserves. I am very confident that we and the readers of this forum will learn much from the type of discussion I am anticipating. Thanks for your comment, Dr. Epp. I am not sure why you think I should agree with Dr. Gold’s hypothesis just because it supports my young-earth position. I don’t agree with scientific ideas simply because they provide support for my ideas. I agree with scientific ideas because the evidence supports them. I am a young-earther because I think the evidence supports it. When it comes to abiotic coal, the evidence does not support Dr. Gold’s hypothesis. As a result, I don’t agree with it. When it comes to abiotic oil, I don’t reject everything Gold says. As I note in the article, there is some evidence to support his view of abiotic oil. A lot more research has to be done to determine how much of earth’s oil is made according to that mechanism, but there is evidence to indicate at least some of it is made that way. The evidence is far from conclusive, however. In addition, if all (or most) of earth’s oil is abiotic, then there are lots of things that need to be explained. In his comment above, Kevin (who is a professional geologist) lists some of the major issues that would have to be explained if oil really is abiotic in origin. I agree that the consensus view isn’t always right. At the same time, however, you don’t reject an idea simply because it is part of the consensus view. In the end, you reject (or accept) an idea based on the evidence. As I see it, the evidence strongly supports the idea that coal is biotic in origin. When it comes to oil, however, the story is different. In that case, there is some evidence that it is abiotic in origin and some evidence that it is biotic in origin. As a result, more research needs to be done to determine what the real story is when it comes to the origin of oil. I am happy to continue this discussion if you want. You can do it here, or you can contact me privately. Dr. Wile. We can limit the topic to coal for now if you like. How do you propose the huge quantities of coal known to exist worldwibe were generated in 6,000 years of life, death, and decay? Dr. Epp, I think the link I provided in my original post provides a reasonable account of how coal forms in a young-earth scenario. If you are worried about the amount of coal we find, calculations indicate this is not a problem for the young-earth view. If coal is abiotic in origin, could you please explain why it contains structures such as coal balls (rounded masses of matted and exceptionally well preserved plant and animal fossils), upright tree trunks, and stigmaria (which give all indications of being fossilized roots). “It is indeed true that coal sometimes-though by no means always-contains some fossils, but those fossils themselves create a problem for the biogenic theory. First, why did the odd fossil retain its structure with perfection, sometimes down to the cellular level, when other, presumably much larger quantities of such debris adjoining it were so completely demolished that no structure can be identified at all? Would it not be strange for one leaf or twig to have its shape perfectly preserved and for all other leaves and twigs in the same assemblage to be turned (by high pressure) into a uniform mass of almost pure carbon? Second, fossils are sometimes filled almost solid with carbon without being deformed. Every cell of the plant seems to have been filled with the same coaly material that forms the bulk of the coal outside the fossil. How did the coaly material enter the structure of the fossil without destroying it? Such coal fossils seem to be filled with carbon in the same way that petrified wood is filled with silica. Dr. Epp, you might not be convinced by the calculations and evidence provided in the links I gave you, but you have not given me any indication of what is wrong with the calculations and evidence presented. I have given those articles much more than a “quick read,” and I find the calculations presented and the interpretation of the evidence given to be very sound. Until you can give me good arguments as to why the calculations and evidence presented are not sound, I find no reason to reject them. Since you are relying on Dr. Gold for your response, I assume that you have not looked at the evidence regarding coal in detail. That doesn’t surprise me. If you actually study coal, you will understand why it is clearly biotic in origin. Your assumption that Dr. Gold has studied the evidence in detail is incorrect. As I told you in our conversation, Dr. Gold’s coal arguments are the weakest part of his book, as his comments make it clear that he has not studied coal in any detailed way. For example, he says that the exquisite preservation found in coal is a problem for the biotic view of their origin. On the contrary, the exquisite preservation of fossils found in coal is well understood as resulting from the process by which coal forms from decaying vegetable matter. Consider, for example, coal balls, which Dr. Gold doesn’t even attempt to address in his book. They are clearly the result of decaying vegetable matter being permineralized by calcium and magneisum carbonates before the decomposing matter forms into coal. The permineralization allows for the exquisite preservation of the vegetable matter found within. Also, Gold’s statement about how coalified cells and similar fossil structures are formed is simply not correct. There are a myriad of impression fossils (from coal and other rocks) that contain detailed cellular structures. There is no reason to assume that the matrix in which the fossils are found had to “penetrate” the organism without destroying its structure. That’s not what happened in fossil impressions found in limestone, and that’s not what happened in fossil impressions found in coal. I note that in addition to not trying to explain carbon balls, you haven’t tried to explain the existence of stigmaria in coal. Any hypothesis that attempts to explain the formation of coal needs to take these basic structures into account. Dr. Gold doesn’t do that in his book, and I haven’t read any proponent of abiotic coal who has. Dr. Wile. I think that you and Dr. Gold may not be as far apart in opinion as you seem to think. For you surely do not believe that diamonds are derived from plants, do you? In his “Deep Hot Biosphere” book, Dr. Gold concedes that some coal is likely of biotic origin. Dr. Gold concludes his discussion of abiotic coal by saying, “I believe that coal may be formed by both abiotic and biotic processes. What distinguishes this theory from traditional theory is that coal is postulated to be derived from a source upwelling from the depths rather than a deposit sinking from the surface. We might therefore refer to this as the upwelling theory. “The carbon has entered from below as a carbon-bearing fluid such as methane, butane or propane, and thus it could penetrate into the cells of any plant fossils that were present in the flow path. After that, a continual loss of hydrogen would gradually bring it closer to the consistency we call coal. “Black, hard coal is a product of entirely subsurface processes; it has nothing to do with the surface biosphere. It has nothing at all to do with photosynthesis. Such coal is not the stored energy of the sun.” ~ Thomas Gold. The Deep Hot Biosphere: The Myth of Fossil Fuels (p. 94). Kindle Edition. And he includes an experiment in his book that demonstrates that the deposition of coal can be autocatalytic. “A deposit of solid carbon acts as a catalyst for further deposition of carbon from methane or other hydrocarbons. Where other circumstances, such as temperature and pressure, would come near to causing dissociation and subsequent deposition of carbon, the presence of some carbon will initiate the process. This means that in an area of upstreaming hydrocarbons, there will be a tendency for carbon deposits to grow to great concentrations, because their very presence is instrumental in laying down more of the same stuff. “I came to know this well from an experiment carried out in my laboratory. We began with a transparent tube of fused quartz, partially surrounded by an intense electric heater, but leaving space to see the interior. Methane was blown through the tube as the temperature rose. At around 800°C, a black speck suddenly appeared on the inside wall, and within a fraction of a second a black streak developed, starting from the initial point and widening as a triangle in the downstream direction. “Significantly, carbon did not appear in a scattered pattern inside the tube. Rather, once the first speck had been generated, all subsequent deposition created a single, expanding mass; carbon was deposited very quickly after the first grain appeared.” ~ Thomas Gold. The Deep Hot Biosphere: The Myth of Fossil Fuels (p. 94). Kindle Edition. Dr. Epp, I am not sure why you think you need to keep quoting Dr. Gold. I have read his book. I know what he says, and we are very far apart in opinion. No, diamonds are not derived from plants. Coal seams are found in sedimentary rocks, exactly where you would expect them to be found if they are derived from plants. The seams are generally horizontal, which is (once again) precisely what you would expect for something that is derived from decaying plant matter. Diamonds are found in pipes that are usually vertical and are filled with igneous rocks. This is yet another problem for Dr. Gold’s hypothesis. If coal were abiotic in origin, you would expect to find it in places other than just sedimentary rock. You do not. In fact, if you think about the experiment he cites to explain the formation of coal, it is precisely the kind of situation you find in vertical pipes such as those in which diamonds are found. Yet, there is no example of coal being found in such pipes. Why is it that coal is not found in precisely the kind of environment Dr. Gold simulated in the lab? The upwelling that Dr. Gold relies on presents yet another problem for his hypothesis – the ratio of carbon isotopes is completely wrong. Mantle-derived methane has a Delta_C-13 value of -20% to -10%. However, coal has a Delta_C-13 value of around -25%, which is exactly what you would expect if it were derived from organisms that use C-3 photosynthesis, such as bryophytes, ferns, and gymnosperms. When Dr. Gold claims that “Black, hard coal…has nothing at all to do with photosynthesis,” he needs to explain why it has precisely the carbon isotope ratio one expects for the specific kind of photosynthesis we find among the plants that are thought to make up the majority of the coal. He also needs to explain why its carbon isotope ratio is nothing like the source material his hypothesis uses. Dr. Gold’s experiments producing carbon are interesting, but they are not all that unusual. There are lots of ways to produce carbon in the lab using only inorganic chemicals. However, those processes tell us nothing about the formation of coal. If a hypothesis attempts to explain how coal forms, it must explain the properties of coal, such as its fossil content, coal balls, stigmaria, the kinds of rocks with which it is associated, and its carbon isotope ratios. Dr. Gold’s hypothesis doesn’t even attempt to do this. Once again, this is why I say it is the weakest part of his book. Dr. Wile. If diamonds are not derived from plants, what are they derived from? Dr. Epp, diamonds are thought to form about 100 miles below the surface of the earth, where the pressure is about 50 kilobars and the temperature is about 1,200 C. There, carbon-containing minerals are decomposed, and the carbon is compressed into the lattice structure that constitutes a diamond. Thus, diamonds offer no support for Dr. Gold’s hypothesis. Instead of starting out as a gas, diamonds start out as a carbon-containing mineral. Instead of forming in the rocks, diamonds are formed in the mantle of the earth and are then injected into the rocks (after they are fully formed) by magma that is released into the crust. Dr. Wile. I despair. What a fool Dr. Gold must have been. Do you believe the vast majority of proven natural gas reserves are biotic or abiotic in origin? Dr. Gold wasn’t a fool. He was simply wrong about abiotic coal. Many great scientists have been wrong, but their work has still advanced our knowledge. I think Dr. Gold’s work on abiotic oil is very important, and it is being continued by other researchers. He just went too far and applied the idea to coal, most likely because he hadn’t studied much about coal and didn’t realize the enormous weight of evidence that tells us coal is of biotic origin. In answer to your question, I have no idea how much of the proven natural gas reserves are of abiotic origin. We know for certain that methane can be formed at least three ways: abiotically in the mantle, biotically from decomposition, and biotically from living organisms. There hasn’t been enough research to know how much of the methane we find comes from each process. In fact, I know of only one study that has tried to make the distinction, and the model that was developed is focused on determining the presence of life on other planets. Off topic from the comments, but wanted to say that I am impressed that someone made it through all 8 of your books, but what are all eight? I did chem 1 and 2, physics 1 and 2, biology, and anatomy and can’t figure out what the other two would be. As far as I recall there weren’t anymore when I was in high school (graduated 2009). Vivielle, the two you missed were from junior high: general science and physical science. However, you did the impressive part. Doing all six high school books means you had the equivalent of three AP courses in the sciences. That’s really impressive! Dr. Wile. I knew that you did not think Dr. Gold was a fool. That was simply a rhetorical expression of frustration. When I heard you speak at the Cincinnati homeschool convention last year (in 2012), you said that there were facts that appeared to contradict the Old Earth position and facts that appeared to contradict the Young Earth position. I assumed that the so called “fossil fuels” would have been among those set of facts that appear to contradict the Young Earth position. Since it appears that you do not count “fossil fuels” among the facts that appear to contradict the Young Earth position, what exactly do you include in the list of facts that appear to contradict the Young Earth position? Dr. Epp, I am not sure I understand your frustration. You said that you were open to the possibility that Dr. Gold was wrong. While he was not completely wrong, he was clearly wrong about abiotic coal. This doesn’t negate all of his work, of course. I think research that is focused on abiotic oil will be fruitful in the years to come. (1) The absence of radioisotopes (like lead-205) that have half-lives from 1 million years to 200 million years and have no replenishing mechanism. This indicates that the earth has been around for billions of years. I think that radioactive half-lives have not always been what they are today, but the evidence for that is far from conclusive. (2) There are some fossil assemblages (such as certain coral reef fossils) that indicate life as usual was going on while the fossilization process was occurring. Since the young-earth view is dependent on the worldwide Flood producing the fossils we see today, that doesn’t seem possible in a young-earth framework. (3) There are some layers of sedimentary rock that seem to be separated by a surface of erosion. It is hard to understand how such eroded layers could be formed in the Flood. There are others as well. However, I think there are far more data that contradict an old-earth view, so at present, I think the most scientifically sound position is that of a young earth. However, I don’t see fossil fuels as a problem in a young earth or an old earth. ignore the strong chemical analysis of its link with the living organism and can be nicely justify in abiotic theory. followers of biotic theory but these evidences are strong evidences against the fossil oil theory. 4. source rock is a mixture of mud+organic matter+pre generated abiotic hydrocarbons and organic matter has nothing to produce the oil. 5. this theory can help to find new location of hydrocarbons under testable conditions. 6. this theory has respect for the all valid evidences by the both current biotic and abiotic origin of hydrocarbons. Thanks for your comment, Suresh. I agree that there is evidence for both biotic sources of oil and abiotic sources of oil. While I admire your attempt to reconcile those evidences, I don’t think your hypothesis works. The reason Titan can have large reservoirs of hydrocarbons is its atmosphere is 1.4% methane and it is extremely cold. If earth’s atmosphere were 1.4% methane, life could not exist. If earth was as cold as Titan, life could not exist. Thus, I don’t see any way in which the earth could have had pre-generated hydrocarbons. In addition, there is simply no evidence for such large bodies of hydrocarbons existing on earth in the past. I think the more likely explanation is that there are both biotic and abiotic sources for oil. In many ways earth and titan are similar. if we heat the titan or cold the earth these both are similar with many ways and conditions changes very sharply time to time. 2. according to me link between the reservoir and organic rich source rock is a strong evidence in favor of abiotic origin of petroleum or you can say strongest evidence against the fossil oil theory. 3. we have observed fossils of past forest life in coal and according to current understanding this is the strong evidence in favor of biotic origin of coal but according to me this is the strongest point against the biotic origin of coal because of no solid reason of non convert of these fossils in coal and well preserved in abiotic reburied liquid hydrocarbons. for an example if we found cashew nut in cake we can conclude these cashew nut has nothing with the main mixture of cake and basic cake has been formed with another floor,sugar and water mixture and these cashew nut has just been mixed in the basic mixture of cake. 3. there are not both biotic and abiotic source of oil but hydrocarbons near the surface of the earth or commercially viable to us has been contaminated or mixed in pre generated seepage hydrocarbons only and reburied after seepage on the surface in past. I am sorry, Suresh, but earth and Titan are not similar at all. Earth is 44 times more massive than Titan. Titan’s lower troposphere is 95% nitrogen and 4.9% methane, while earth’s is 78% nitrogen, 21% oxygen, and only 0.002% methane. The average temperature on Titan is about −179.2 C, while the average temperature on earth is about 15 C. Also, once again, there is simply no evidence for the idea that there were large bodies of hydrocarbons on earth in the past. There just doesn’t seem to be any way for your hypothesis to work. If the conditions on Titan would have same as earth than seepage liquid and abiotic hydrocarbons there would have been reburied after mixing with the organic matter there same as earth ( if there was life of titan). Dr. Wile: I wish Dr. Gold or someone of his caliber was here to defend his work; for I am not yet up to the task. Of all the potential explanations for the huge quantities of natural gas, oil, and coal known to exist, I think Dr. Gold’s hypothesis is the most believable and therefore the most likely to be the truth. I will continue to research this topic as I find time while working a full time job as an organic chemist and homeschooling five children ages eight to fifteen. I do hope you continue to research the issue, Dr. Epp. If you do, you will find that his idea of abiotic oil has merit, but his idea of abiotic coal does not. Dr. Wile. I do not believe that the abiotic coal case lacks merit. While I acknowledge the fact that some coal is of biotic origin, I do not believe it is reasonable to believe that all coal is of biotic origin. How is it that you seem to believe that some natural gas is abiotic but not an ounce of black coal can be abiotic? Dr. Epp, I honestly think the reason you believe the abiotic coal case doesn’t lack merit is because you have read only Dr. Gold’s book. When you study coal in depth, you will see that Dr. Gold’s mechanism has no merit. It’s very easy to understand why I think the abiotic oil case has merit but the abiotic coal case does not. In the case of oil, the abiotic mechanism explains many of the properties of oil. Now, as Kevin points out very well, it doesn’t explain all the properties of oil. In addition, the abiotic oil mechanism has been used to find oil where the biotic mechanism said none should exist. At the same time, as Kevin once again points out in that same comment, oil has also been found where the biotic mechanism says it should exist and the abiotic mechanism says it should not exist. As I see it, then, the most reasonable conclusion is that there are both biotic and abiotic sources for oil. When it comes to coal, the abiotic mechanism doesn’t explain any of the properties of coal. In fact, it seems inconsistent with the properties of coal. On the other hand, the biotic mechanism explains the properties of coal very well. In addition, all the places in which we have found coal are places where the biotic mechanism predicts we will find it. We have never found coal in places the biotic mechanism says it shouldn’t exist but the abiotic mechanism says it should. Thus, unlike the abiotic oil mechanism, it seems clear to me that the abiotic coal mechanism has no merit. “Nobody has yet synthesized crude oil or coal in the lab from a beaker of algae or ferns. A simple heuristic will show why such synthesis would be extremely unlikely. To begin with, remember that carbohydrates, proteins, and other biomolecules are hydrated carbon chains. These biomolecules are fundamentally hydrocarbons in which oxygen atoms (and sometimes other elements, such as nitrogen) have been substituted for one or two atoms of hydrogen. Biological molecules are therefore not saturated with hydrogen. Biological debris buried in the earth would be quite unlikely to lose oxygen atoms and to acquire hydrogen atoms in their stead. If anything, slow chemical processing in geological settings should lead to further oxygen gain and thus further hydrogen loss. And yet a hydrogen “gain” is precisely what we see in crude oils and their hydrocarbon volatiles. The hydrogen-to-carbon ratio is vastly higher in these materials than it is in unde-graded biological molecules. How, then, could biological molecules somehow acquire hydrogen atoms while, presumably, degrading into petroleum?” ~ Thomas Gold. The Deep Hot Biosphere: The Myth of Fossil Fuels (p. 85). Kindle Edition. Dr. Epp, this isn’t about “every apparent anomaly” related to coal and oil. It is about the basic properties of coal and oil. Coal’s basic properties are inconsistent with the abiotic mechanism. In addition, coal has never been found in a place where the abiotic mechanism says it should be found but the biotic mechanism says it shouldn’t be found. Thus, abiotic coal just doesn’t work. Abiotic oil is a different story. Some of the basic properties of oil can be explained by the abiotic mechanism. In addition, some oil has been found where the abiotic mechanism says it should be found but the biotic mechanism says it shouldn’t be found. Of course, some of the properties of oil seems inconsistent with the abiotic mechanism, and some oil has been found where the biotic mechanism says it should be but the abiotic mechanism says it shouldn’t be. Once again, then, the most likely explanation is that there are both biotic and abiotic sources of coal. The basic chemistry of Dr. Gold’s quote is most certainly wrong. Biomolecules do, indeed, decompose into hydrocarbons. Low-temperature diagenesis liberates carbon dioxide from the biomolecules, eventually forming kerogen. Catagenesis and heating then converts the kerogen into hydrocarbons. These processes are well-characterized and well-understood. Now…while his statement about no one making oil from organic matter was true back when he wrote the book, it is most certainly not true anymore. Why does his statement still appear to be true in the year 2013? It is not true in 2013! As the news story I linked shows, light crude oil is being made in the lab using biomass. Are you claiming that because the labs aren’t specifically using algae or ferns that his statement is true? If so, I will grant that his statement is technically true, but it provides no evidence against the biotic mechanism for producing oil. So oil hasn’t yet been made specifically out of ferns and algae. It has been made out of the very biomolecules Dr. Gold incorrectly stated cannot be converted into hydrocarbons. I will take that as an admission that Dr. Gold’s literal assertion still stands. When the process of oil and coal generation is understood enough to duplicate it in a lab starting with the proposed source (not kerogen, “cellusic material”, or manure), I will begin to believe that the major source of oil, natural gas, and coal could indeed be biotic instead of abiotic and that Dr. Gold’s hypothesis lacks merit as an explanation for the majority of these “fossil fuels”. Apparently some “carbonaceous chondrite meteorites contain kerogen-like components” (http://en.wikipedia.org/wiki/Kerogen#cite_note-10). While I am no Thomas Gold, I certainly think it conceivable that a large amount of such material was incorporated into the Earth at its formation. Deeper within the Earth, such material would have been entirely converted to oil, natural gas, and coal. The so-called source rock that largely consists of kerogen could remain because it is nearer to the Earth’s surface and therefore sufficiently stable as source rock. This is now completely false, as the links I provided earlier show quite conclusively that oil has been synthesized in the laboratory from biological materials. So no, scientists don’t have to start with “kerogen, ‘cellusic material’, or manure” to make crude oil. They can start with the same kinds of materials that would be expected in any stew of decaying animals, and they end up making light crude oil. Also, I find it rather amusing that you are not willing to consider the biotic mechanism until it is fully replicated in the lab from alage and ferns exclusively, but you don’t hold the abiotic mechanism to the same standard. No one has made oil in the lab using the abiotic mechanism. As my original post describes, scientists have made some components of oil using the abiotic mechanism, but no one has made actual oil that way. So…to recap…you won’t consider the biotic mechanism until it is fully replicated in the lab using only algae and ferns (despite the fact that no one claims this is how oil is made biotically), but you will believe the abiotic mechanism despite the fact that no one has made oil in the lab using it. Interesting. In regards to your meteorite statement, you need to learn about such meteors, because they do not contain kerogen. They contain kerogen-like compounds, as your quote indicates. What does it mean for a compound to be kerogen-like? It means that the compound started off as an organic compound with oxygen, and then the compound was reduced (lost oxygen). Thus, these kerogen-like compounds once again demonstrate that Dr. Gold is wrong when it comes to the decomposition of biomolecules. They can, indeed, lose their oxygen, contrary to Dr. Gold’s assertion. It is fascinating to me that someone of Dr. Gold’s stature took a bold and determined stand for the abiotic sourcing of oil, natural gas, and coal for a period spanning more than 20 years. I must admit that my own courage to engage you in this conversation would be considerably lower had the source of my thinking not been a highly respected scientist who believed wholeheartedly in macroscopic evolution. While I most certainly do not share his views on macroscopic evolution, I have found that his evolutionary views disarm the disdain of scientists that would otherwise not give such ideas more than a moment’s scornful thought. While you started out conceding the fact that some oil and natural gas may be abiotic in origin (but not an ounce of coal mind you), your subsequent arguments make it very clear to me that you believe the abiotic sourcing of even oil and natural gas are relatively negligible in comparison to the biotic sourcing. Unless I am mistaken, you chalk up the vast majority of these “fossil fuels” to a worldwide flood approximately 4360 years ago. Look, as a fellow Christian, I am inclined to follow you as far as I can while still maintaining my intellectual honesty. But I just cannot believe that the “flood hypothesis” as a major source of “fossil fuels” is true! I personally do not care what the truth is as it cannot effect my confidence that Jesus is “the way, the truth, and the life”. However, that is not true for many of America’s sons and daughters. I believe the existence of such massive quantities of “fossil fuels” is a major reason that so many of them end up believing evolutionary fairy tales and essentially rejecting the Bible as the Word of God. While I am sure that you believe that you have a viable alternative to offer them, it appears to be a tough sell to me. If I am inclined to believe your hypothesis and have such great difficulty doing so, why should we expect people much more skeptical than I am to ever believe the “truth”? “Another point in favor of the abiogenic theory concerns the amount of free oxygen in the atmosphere. If all of the hydrocarbons within the earth’s crust were attributable to the burial of surface life, then a very large surplus of free oxygen (a by-product of photosynthesis) would have been left behind in the atmosphere-more than 10 atmospheres of oxygen alone. The present atmosphere contains only about a fifth of 1 atmosphere of oxygen, and it seems doubtful that a surplus 50 times greater could have disappeared without leaving a clear record. If, on the other hand, the largest part of the deposits of unoxidized carbon in the ground were deposited from unoxidized, carbon-bearing fluids coming up from below and not from materials taken down from the surface, then the discrepancy would disappear.” ~ Thomas Gold. The Deep Hot Biosphere: The Myth of Fossil Fuels (pp. 223-224). Kindle Edition. Dr. Epp, I am not sure where you get the idea that I believe the abiotic sourcing of oil and natural gas are relatively negligible in comparison to the biotic sourcing. I have said nothing of the sort. In fact, in a previous comment, I told you quite honestly that I had no idea how much oil is abiotic and how much oil is biotic. All I know is that both mechanisms seem able to produce oil, and that there is evidence for both mechanisms when it comes to the oil we actually find. However, I don’t know of any studies that indicate which (if either) is the dominant mechanism for the production of oil. I don’t chalk up the vast majority of oil to the fossils formed in the worldwide Flood. I have no idea how much oil came from that process. I just know that the evidence tells us that at least some of it did. I also don’t know that the worldwide Flood happened “approximately 4360 years ago.” I have seen Biblical chronologists give dates for the worldwide Flood that vary by more than 1,000 years. Now, the evidence clearly shows that all coal is biotic in origin, so I do think that coal is the result of the plants that were captured during the Flood. Of course, those plants represent well over a thousand years’ worth of photosynthesis, and as the calculations I showed you previously clearly demonstrate, there is no problem understanding all of the earth’s coal reserves as coming from those plants. I don’t understand how you think promoting a hypothesis that has all the evidence against it (abiotic coal) can possibly help people believe the Bible. Also, I don’t see how denying a mechanism that has been replicated in the lab and has a lot of evidence going for it (biotic oil) can possibly help people believe the Bible. The Bible is the source of Truth. You can’t get people to believe in Truth by using arguments that are easily refuted by anyone who knows about coal and oil. Even if such arguments did somehow make people believe the Bible, I would never use them. I believe in seeking the truth in all its forms. In doing so, there is simply no way to swallow the mechanism of abiotic coal, because the evidence speaks so strongly against it. The mechanism of abiotic oil is reasonable, so it is worth supporting, but you cannot reasonably support that view by denying the biotic mechanism for the production of oil. Once again, the evidence clearly shows that the biotic mechanism is responsible for at least some oil. Your quote from Dr. Gold is another unfortunate one, as it demonstrates his lack of understanding of the biotic mechanisms that produce oil. He seems to think that in order for biomolecules to become hydrocarbons, they must release oxygen in its elemental form. That is clearly not the case. In the process of diagenesis (which I have already shown you is well-characterized and well-understood), biomolecules are reduced by liberating carbon dioxide, not oxygen. Of course, carbon dioxide has many “sinks” throughout creation, including the ocean. Thus, there is no reason to expect that the biotic formation of oil would produce any excess oxygen. Instead, it produces carbon dioxide, which gets dissolved in the ocean, is used to produce calcium carbonate in its many forms, etc., etc. Dr. Wile. I believe Dr. Gold was speaking of the amount of oxygen that would have been released in the process of carbon fixation that produced the biomass that allegedly produced the majority of “fossil fuels”. Perhaps you could address this assertion instead of the one you attributed to him. “My reasons for holding this admittedly controversial view are numerous. First, it has become quite evident to me that the quantity of black coal and petroleum (and especially its natural gas component, methane) are far greater than could be explained by any theory that depends on buried biological debris. ” ~ Thomas Gold. The Deep Hot Biosphere: The Myth of Fossil Fuels (p. 209). Kindle Edition. Dr. Epp, if that’s what he is talking about, he is still quite wrong. There is no reason to think that a large mass of plants existing in the past would cause a buildup of oxygen in the atmosphere. After all, organisms that perform photosynthesis are supplying oxygen for the other organisms that require it. Thus, as long as there is a balance between the oxygen that is being produced by the organisms that perform photosynthesis and the oxygen that is being consumed by the organisms that use oxygen, there will never be a buildup of oxygen in the atmosphere. I am not sure what book you read, but in The Deep Hot Biosphere, Dr. Gold most certainly does propose that all oil is abiotic. The only hydrocarbon he accepts as biotic is methane. As the quote you gave previously indicates, he doesn’t believe it is possible for biomolecules to decompose into hydrocarbons, despite the fact that the chemical processes by which this happens are well-documented and well-understood. Since he doesn’t believe biomolecules can become hydrocarbons, he doesn’t believe that any oil is biotic. I do hope our conversation has shown you how wrong that view is. Dr. Gold claims that the amount of coal and petroleum is too high to be explained by the biotic mechanism, but as I have already demonstrated, calculations show this to be incorrect. Until you can produce calculations that say otherwise (or demonstrate what is wrong with the calculations I linked to you), Dr. Gold’s assertions carry no weight. Dr. Wile. Unless my memory fails me, I do think that Dr. Gold’s book implies that all oil is abiotic. However, I do not think that he ever explicitly states that. In my current opinion, I think it is possible that the percentage of abiotic oil is so high in comparison to biotic oil that the amount of oil that is biotic in origin is essentially negligible. And that opinion is probably close enough to Dr. Gold’s opinion that our opinions are essentially identical. However, I am open to the truth even if it means that none of oil, natural gas, or coal is abiotic. I will have to think about your response to Gold’s oxygen generation assertion. While I am not convinced by your response, it is probably beyond my current abilities to argue the point further. However, I do appreciate the fact that you added another dimension to my thought process. I would like to move on to another fact about black coal. Since we started this conversation, I learned something about the 14C composition of coal that is interesting if not enlightening. It appears that only very low levels of 14C can be detected in coal. Since the half-life of 14C is 5700 years and you believe coal to be a direct result of a global flood 4000 or 5000 years ago, how do you explain the low levels of 14C found in black coal? Dr. Epp, I do hope you are open to the truth. If you are, then you will eventually learn that the abiotic coal hypothesis has no merit and that there are probably both abiotic and biotic sources of oil, neither of which is negligible. The level of carbon-14 in coal is more of a problem for old-earthers than it is for young-earthers. Based on the old-earth idea of how coal is produced, it is supposed to be millions of years old. If that were the case, there should be no carbon-14 whatsoever in the coal. The fact that there is some carbon-14 indicates the coal is not millions of years old. From a young-earth perspective, of course, it is not surprising that there is some carbon-14 in coal. The low levels are also not much of a problem for young-earthers, as we think the levels of carbon-14 in the pre-Flood atmosphere were much lower than they are today. There is some evidence for this, given that today’s atmosphere is not at equilibrium when it comes to carbon-14. Here is a good primer on the subject. Thanks, Kevin. I am glad I didn’t mess up the geology too badly!